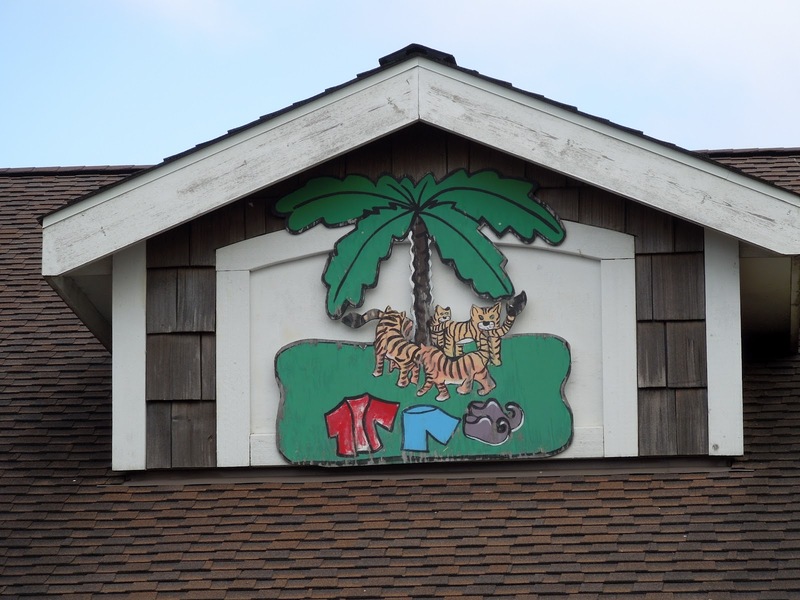 Growing up, we would always stop at a breakfast place right along Highway 101 in Lincoln City. When I was a kid, the restaurant was called Little Black Sambo’s. This was taken from the Helen Bannerman’s book about an Indian boy who was given new clothes then while walking through the jungle was basically mugged by four separate tigers who stole his clothes. The tigers eventually fought each other and after running around a tree, the tigers turned into butter (for some reason). Little Black Sambo’s mother then made pancakes for the family with the butter. Little Black Sambo did get his clothes back too. You can read the book here. Of course the restaurant, currently called “Lil Sambo’s” use to be called Little Black Sambo’s. Not surprisingly, it’s a breakfast joint that serves pancakes. I would love coming here as a child, so our final day in Lincoln City we had to stop. The original restaurant burned to the ground in the early 2000s but was rebuilt on the same footings. This is really a local restaurant. Like in most small towns in America there was a group of senior citizens sitting in a couple booths, nursing cups of coffee and telling tales everyone at the table had heard before. 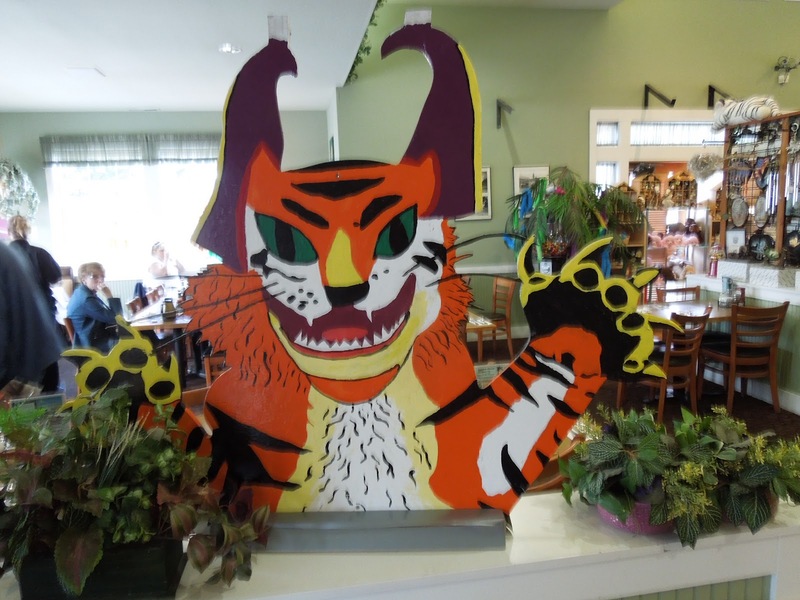 The walls (both inside and outside) are adorned with brightly colored wooden cut outs from the Little Black Sambo story – although some of these tigers seem much less menacing than the ones from the book. 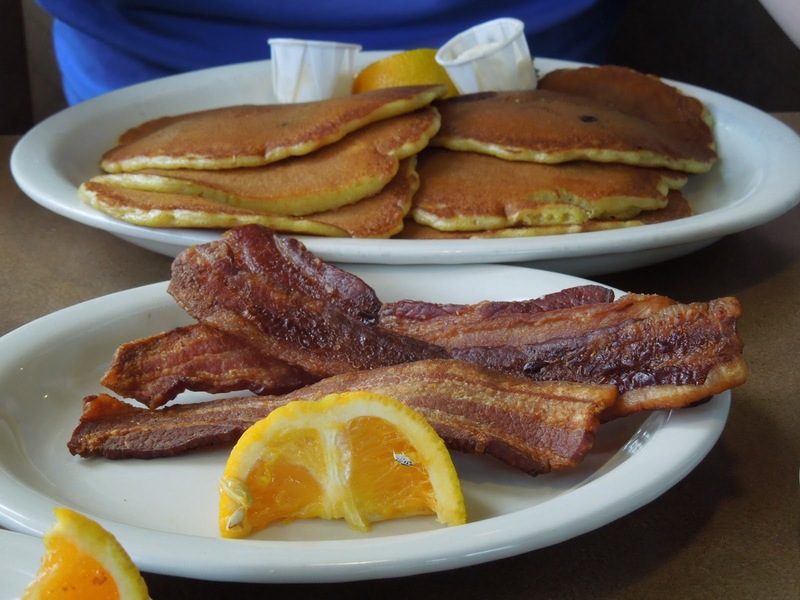 We, of course, ordered pancakes and bacon for breakfast. I thought about getting the children’s order of 3, but instead got the regular order – 6. Way too many pancakes — but they were pretty damn good. They weren’t fancy, the pancakes were just good, well made, perfectly browned cakes, served with warm syrup. Plain. Simple. Good. You could also get local berries added to your pancakes (blueberries, Marion Berries, Black Berries, Strawberries, etc). Is this a destination? No, not at all. If you are in or around Lincoln City and you want a reasonably priced breakfast with efficient service, tasty well prepared food with a hint of underlying racism, you must visit. 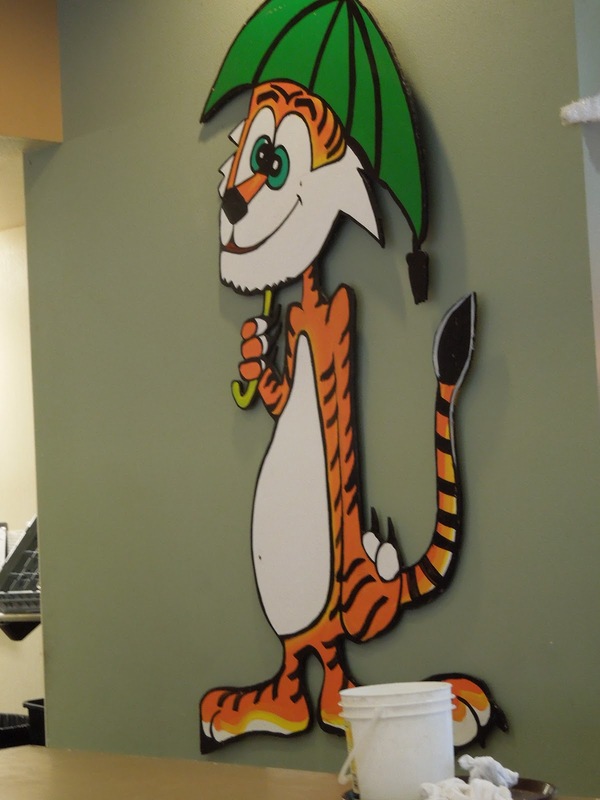 I temper my last comment by saying again that this restaurant is based off of the children’s book (which I had a real copy of as a child) – not any lingering racial issues. Although it is interesting that they dropped the descriptor “Black” at some point in it’s recent past. 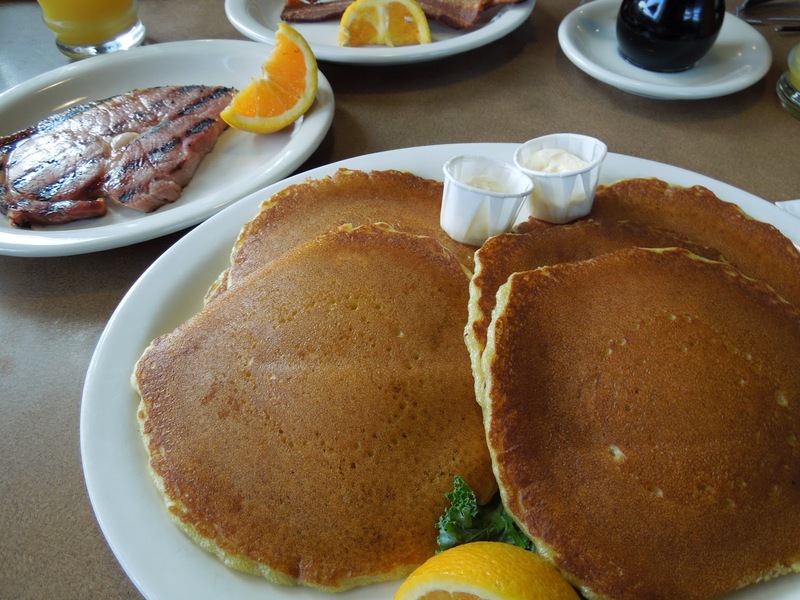 If I am in Lincoln City around breakfast time again, I will require that we stop here and have an enormous plate of pancakes — and you should too. 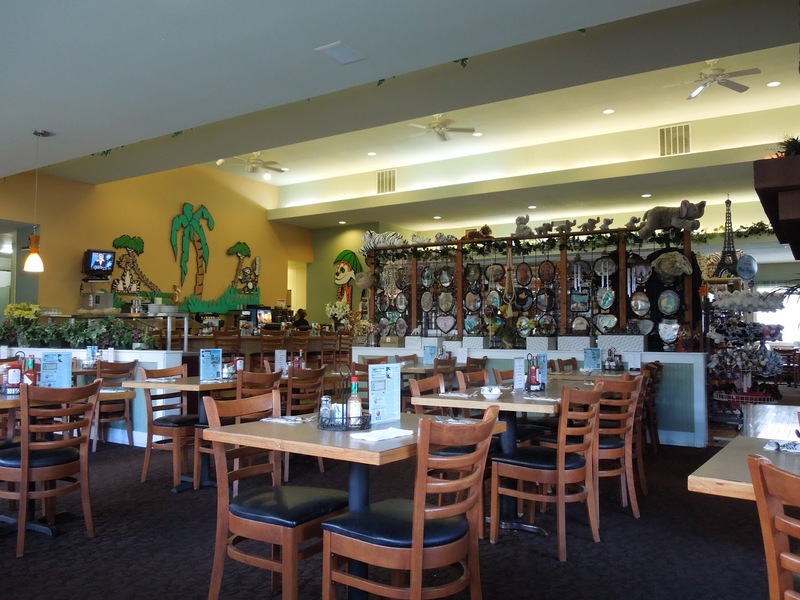 What is your favorite breakfast place in Lincoln City? Are you familiar with this book? Have you ever stumbled across a restaurant based on an obscure book from your childhood and just had to stop by and see what it’s about? By Tim in Food, Travel on August 27, 2012 .